Now that the cables are all connected, we need to test that they are all correct and working. We've already done the tests on the band-pass spectra, now we need to check that all polarisations are correctly connected. 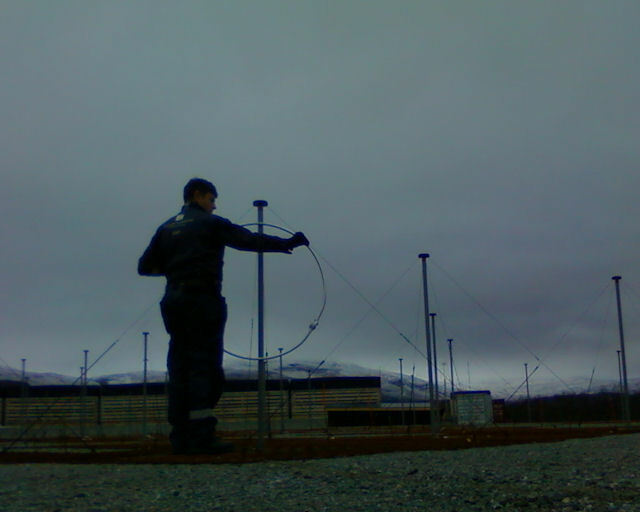 To do this, we modify the field pattern of each dipole using a large metal object (we had a loop antenna handy, so we used that). Applying the loop antenna to the antenna. Is it just me, or does this look like Grindelwald's Sign? 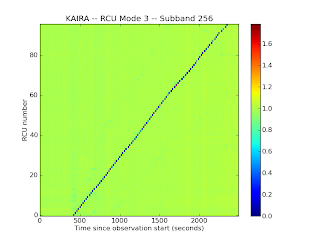 We then go from X- to Y-polarisation on each antenna, applying the antenna to each, and look at the drop-out pattern, when plotting RCU (= channel number) versus time (= sequence number). Progression of signal drops, going from dipole to dipole. Onwards and upwards, and not a single step back! 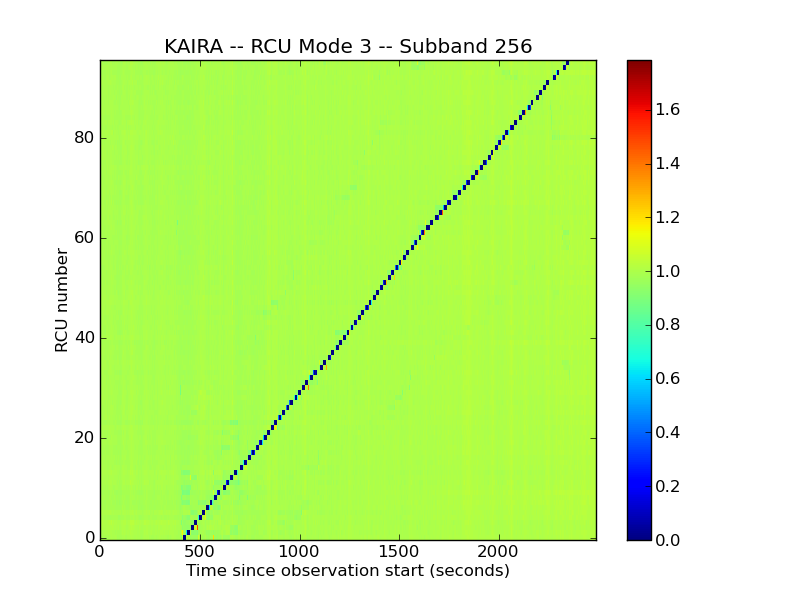 As you can see, there is a monotonically increasing progression, which means that the polarisation are correct. The slight wave in the line reflects the addition walking time between antennas at various parts of the process. Yet another quality-assurance check complete!